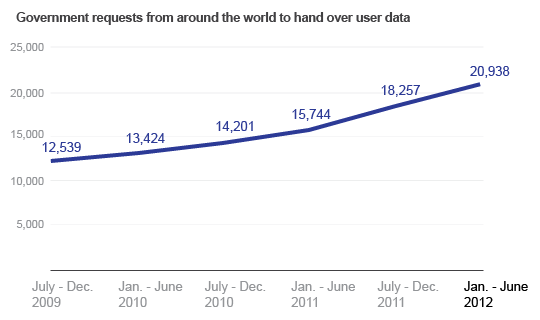 in early 2010, there wasn’t much data out there about how governments sometimes hamper the free flow of information on the web. So we took our first step toward greater transparency by disclosing the number of government requests we received. At the time, we weren’t sure how things would look beyond that first snapshot, so we pledged to release numbers twice a year. 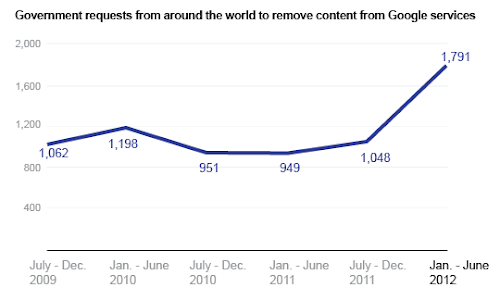 Today we’re updating the Transparency Report with data about government requests from January to June 2012.